Maybe one of the most hope-filled statements in the Bible. And perhaps one of the most revolutionary as well. God was explaining to Abram how he wanted to make a new tribe beginning with him. Which made sense, because people at that time were divided into tribes. Tribes gave identity and purpose to their people. And these tribes fought one another over land and resources so that the people of their tribes would survive. Because a tribe existed to preserve and bless the people of that tribe. Not just you. Not just your family. Not just your tribe. Everybody. This God is for everyone. This is the reason Advent begins with hope. Because we still live in tribes. Some ways are obvious. You can turn on the nightly news and see fighting and death over land and possessions. We live in a world with war and genocide. Humanity has evolved and changed, but these realities still plague us. But we live in smaller tribes as well. We’re especially adept at dividing ourselves, whether it be into red states and blue states or along racial lines or gender or socio-economics or religious affiliation. We take up camps and fling verbal arrows at one another. We grapple on the battlefields of social media. We are excellent dividers. 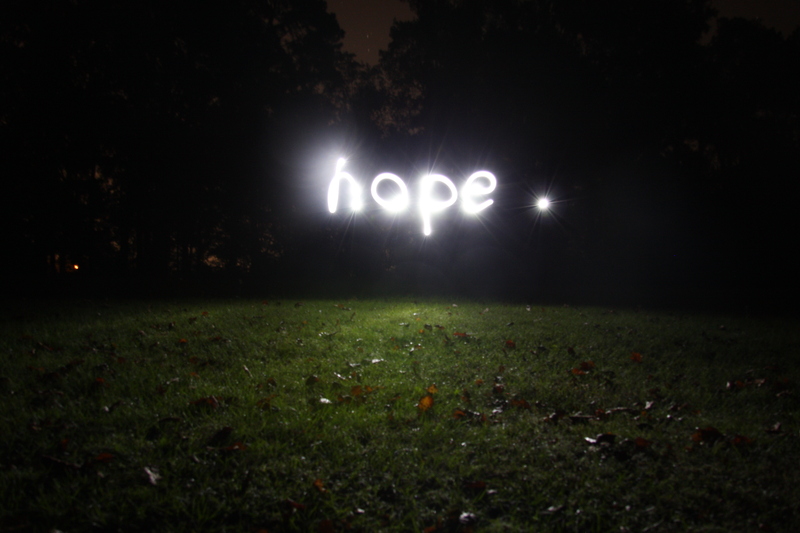 But hope – hope is universal. There are things we share in common no matter our race, gender, religion or belief. We desire mostly the same things. We want to good parents. We want our children to be happy and healthy. We want to experience beauty. We seek meaning to our existence. Every one of us seek joy, peace and love in our lives. No matter how we divide ourselves on a daily basis, we can be unified in our hope for a better life – a better world. Pope Francis calls this the “horizon of hope”, because we can together lift our eyes to the deeper, more excellent things in life. Hope is a beginning because it is shared. Advent is a reminder that this Messiah gives hope to us all. That this child-king is not just for the “in crowd” or this tribe or the ones who have it all together. He is for rich magi from the east and for poor shepherds from the next pasture. He brings hope to the faith-filled girl from Nazareth and the criminal hanging on a cross outside Jerusalem. Advent reminds us that God is still fulfilling that promise made long ago to Abram. That he reaches beyond our foolish divisions to offer hope to every single one of us. Because his tribe is long and wide and high and deep. And there is room for us all. And that through this child we can find what we truly seek – joy, peace and love. Hope is just the beginning.